At Elaia we offer a truly unique all day dining experience. Our Menu Board Specials are available from midday straight through to dinner service Monday to Saturday and Sunday until 2.00pm. Our creative Chefs thrive on the challenge of consistently providing our Guests with #ElaiaFood…. food that is comforting, nourishing, tasty, colourful and makes you feel good… that is the service culture of Elaia… providing coffee, food and service that makes you feel good. 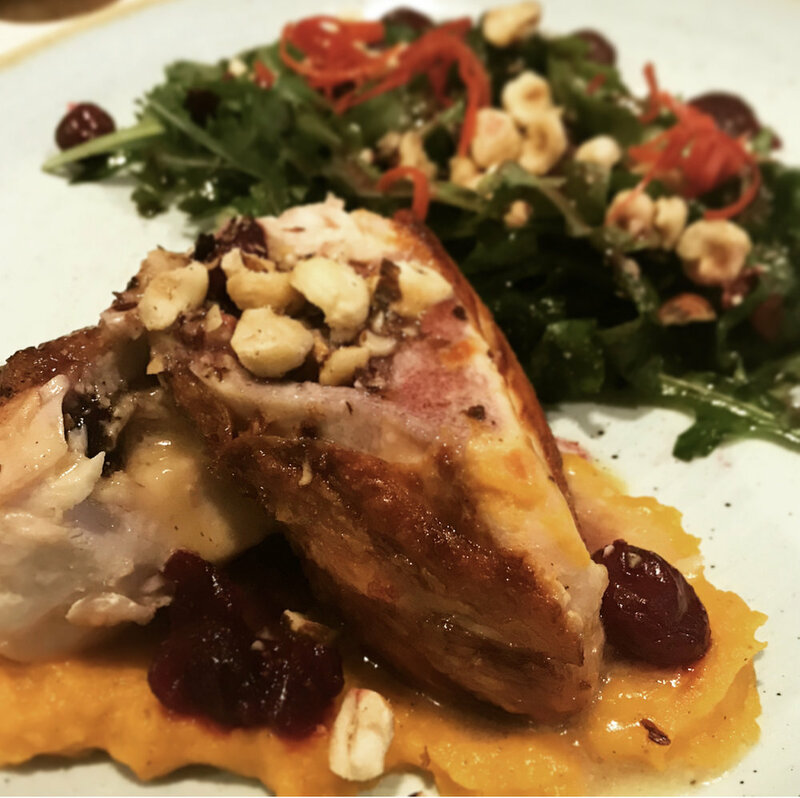 Chicken Breast stuffed with brandied cranberries and brie on spiced pumpkin puree with roasted hazelnuts and cauliflower rice salad. A truly festive dish that is a feast for the eye and belly! Cantonese Pork Belly with sticky sauce, citrus jasmine rice and mango salsa. You’ll be licking your chops with this one! Steak on a thyme potato galette, topped with swiss browns, brandy mushroom sauce, served with roasted beets, radicchio leaf and goats cheese. In the few days it’s featured on the Menu Board, it’s been a sell out and we can see why..